With global warming and ecological disasters our planet is currently facing, many homeowners are trying to be more considerate when it comes to designing their homes. While it may seem tough, making eco-conscious decisions is what we all need to do to reduce the negative impact on Mother Nature. If you’re interested in creating a chic and cozy home while preserving the environment, read on to get inspired. There’s no better way of making your home more eco-friendly than by introducing greenery into your house. Green plants are an instant decorating tool that will freshen up your living space. What makes plants such an awesome addition to your space is the fact that they help clear the air by absorbing toxic chemicals and carbon dioxide and releasing oxygen in return. You don’t need to have a green thumb in order to have plants inside your home – there are a variety of options when it comes to low-maintenance houseplants. Aloe Vera, Snake plant, and Peace Lily all make great choices and all of them are forgiving if you forget to water them for a day or two. Whether you are looking for a way to brighten up a dull and rainy day, unwind after a stressful day at work or simply bring an aura of calmness into your living space, scented candles are the way to go. They are a great addition to an eco-friendly home because of the warm atmosphere they create with their presence, especially if they are made from soy wax. Consider implementing quality wholesale candles into your home – you can choose from a wide range of scents and types of candles, some of them being round pillars, rectangular candles, candles with multiple wicks and petite soy candles. There are many items you can DIY in order to decorate your eco-friendly home. From making your own homemade essential oil diffuser to woven baskets and cement planters – there are many interesting DIYs available online that can get your creative juices flowing. If your walls are in need of decoration, but you don’t want to spend much money, why not try your hand at arts and crafts? 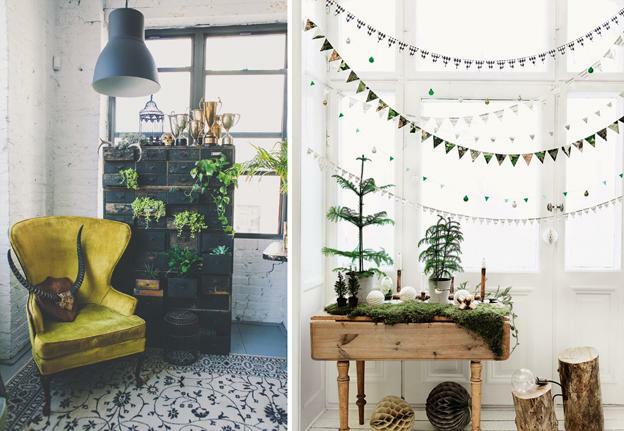 Whether it’s knitting a macrame to give your living space a bohemian vibe or taking pottery classes at your local art studio – making your own home decor is sure to give your place a more personalized look while being environmentally friendly. One of the best ways to preserve the environment is to buy pre-used home decor. There’s something about vintage pieces that make them look great in any space. Also, ‘vintage’ encompasses many styles, colors, and patterns from different eras, which gives you the freedom to play around. Repurposing vintage objects is a great way to give life to old items and save them from going to the landfill, thus helping Mother Nature. Head to your local flea markets, thrift shops, and antique stores – it’s amazing how many great vintage pieces you can find. And best of all, it’s usually pretty cheap, so you’re actually saving money and the environment! There’s nothing more eco-friendly than putting old stuff to good use. Consider repainting the old picture frames, hooks and holders to give them a new life, and repaint those wooden tables to match the style of your other furniture. Reupholstering your old dining chairs will make them look as good as new while repairing broken items instead of going to the store and buying new ones will save you some cash. Think about how you can reuse the items you already have and make some minor changes to them in order to fit in with the style and the colors of other decor items. Use your old and stained coffee mugs to plant small plants in, and reuse broken china to re-tile the outdoor paths – the options are endless, and it literally depends on your imagination and creativity how you’re going to repurpose and reuse what you already have. Opting for eco-friendly home decor brings a lot of benefits for you, your wallet, and Mother Nature. 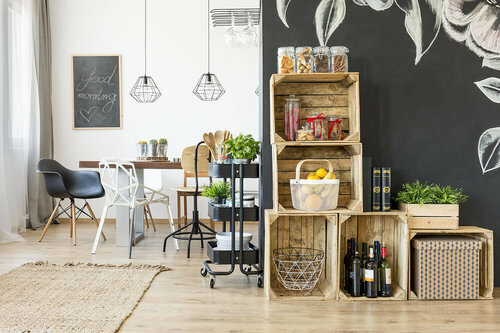 From buying home decor that is made from natural materials and DIYing some items to putting old things to good use, there are many ways to implement home decor that is both aesthetically pleasing and environmentally friendly. Use our tips and start making a change today!